European styling is what the black Felecity Shell for Demi Bags is all about! 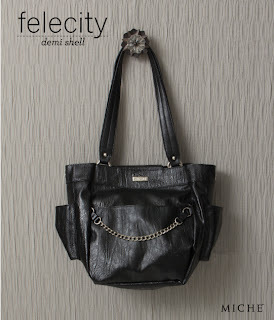 After all, what could be more classic in a handbag than raven black textured faux leather with silver chain detail? Miche Bag's Felecity has a hidden roomy front pocket for extra storage along with convenient end pockets.